In life as well as business, who has come to the conclusion that communication isn’t of much value? I am yet to find someone who has. I write articles mainly for students, professionals and entrepreneurs and try to communicate to them the importance of being well informed enough to make better decisions in their lives and work. But then again, what am I really trying to do? Am I truly interested in what they want or am I simply selling my own skills and promoting my own business? Do I really want to find a solution to their problems or do I just want to influence their way of thinking and persuade them to accept my ideas as de facto? I believe I am truly helping young people to better understand key aspects of life and business that can help them in their personal and professional lives. I can only achieve this through communicating with them and my work has helped me to understand that this is a two-way relationship that cannot be otherwise. In order to provide information that is useful to them, I need to know their thoughts around the subjects I write about. So I frequently ask them what they think about education, career, teamwork, financial intelligence and commerce. Simply put, in order to provide them with the information they want, I need to be informed about what those wants are and how they can benefit from them. Having clear and honest discussions with them makes it a lot easier for me to locate the areas I need to research and it also helps me to figure out a clear and concise way of delivering their information. I am sure that we are all perfectly aware of the importance of communication but I do not believe that we fully know how powerful a tool it is. Communication is even more vital for those who need to change perceptions and persuade others to accept ideas that work better. People in sales and marketing roles, advertisers and politicians for example, will agree that this is something they cannot possibly live without and they spend a lot of time and money developing this one skill. However, the influential and persuasive part of it can be easily used to manipulate, but people are smart and cannot be fooled for too long. As the opening quote by Mark Twain implies, all the influence and persuasive techniques in the world will amount to nothing if the public view on the matter is not consulted and taken into account. Effective communication as aforementioned is a two-way relationship geared towards fulfilling the wants and needs of all the parties involved. Ineffective communication on the other hand is a very selfish and one-sided business that most people can see right through. People communicate today in many different ways with the most familiar being speaking and listening. However, people can also communicate via text, symbols, and by using photo and video images. Digital communication like the internet, social media and mobile technology has harnessed all these forms and made it very easy for the world to communicate and share information without much difficulty. However, with such ease comes complacency and for this reason, we must be mindful of the kind of information we share digitally and otherwise. This is because communication and information are both very powerful and have the capacity to create or destroy people, businesses and even nations. On the whole, we should keep in mind that whenever we decide to share or communicate information in any form, we are also marketing and selling our ideas, reputation, skills and services. The information we give and the way in which we communicate will determine how much influence we can have in any given situation. For example, students need to clearly communicate their ideas with each other and with their lecturers in order to gain clearer perspectives in their field of study. Professionals need to communicate well at interviews and meetings in order to sell their skills and services. Entrepreneurs too need to communicate their ideas effectively in order to persuade groups of people to work with them and to invest lots of time and resources in their cause(s). In conclusion, I feel that knowing and understanding who we need to share information with and for what purpose, goes a very long way in helping us to identify what style of communication will best suit the situation. For this reason, I feel the same way as Dale Carnegie does when he advocates in his timeless classic that understanding and appreciating human and public relations is not only key to having great communication skills but absolutely essential when it comes to learning How To Win Friends and Influence People. 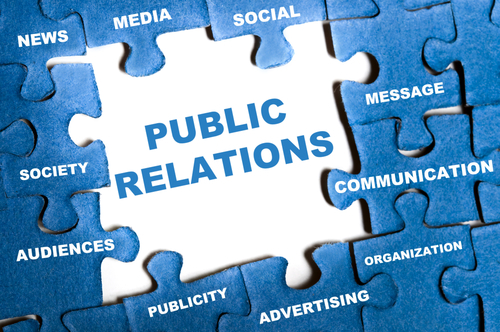 Good Communication Needs Great Public Relations © 2012 Nyoremes Books, a subsidiary of Nyoremes Inc.
Great article Efe. You are right in the sense that its not just about having something to communicate but its essential that what one is communicating is seen to meet the needs of its intended audience. That comes with having a sincere love and desire to see the audience grasp the essence of one’s message, with a view to helping them achieve better results and success. The whole aim of communicating an idea is to help your audience improve themselves on a subject matter and make better decisions.